Muslims form a significant percentage of the Ghanaian population but they still struggle to be accepted within the Ghanaian society which is supposed to be secular. Ghana is known for it’s relative peace and freedom in Africa but there are still pockets of abuses and harassment of persons perceived to belong to minority groups. This week there was anger among some Ghanaians when a Muslim nursing student was reportedly harassed by her superiors for wearing hijab. The student was to undertake her clinical internship in Ghana’s capital Accra, but just when she was about to take her endorsement letter she was asked to remove her hijab. The said incident occurred at the regional offices of Ghana Health Service in Accra. A social media influencer in Ghana Hassi Banias wrote on Facebook about the incident condemning the treatment meted out to the nurse. “She was in the company of other Muslim colleagues who removed theirs (COWARDS) but she stood her ground not to remove it and for that matter she was not given her letter,” added Banias. 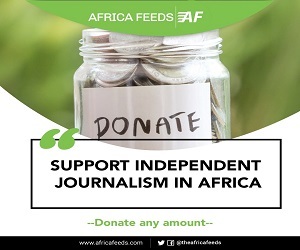 Africafeeds.com understands the nursing student’s ordeal was started by a secretary at the Ghana Health Service office. The secretary was said to have canceled the name of the student from her attachment letter because she stood her ground and refused to take off her hijab. 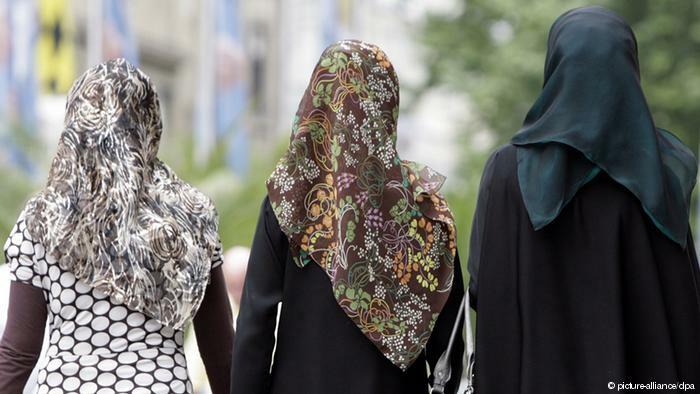 Ghana’s laws do not prevent Muslims from wearing hijab to school or work. Despite the nursing student securing her placement for internship, she was once again forced to take off her hijab when she reported for work. Friends of the nursing student pushed for answers forcing Ghana’s Ministry of Health to intervene. 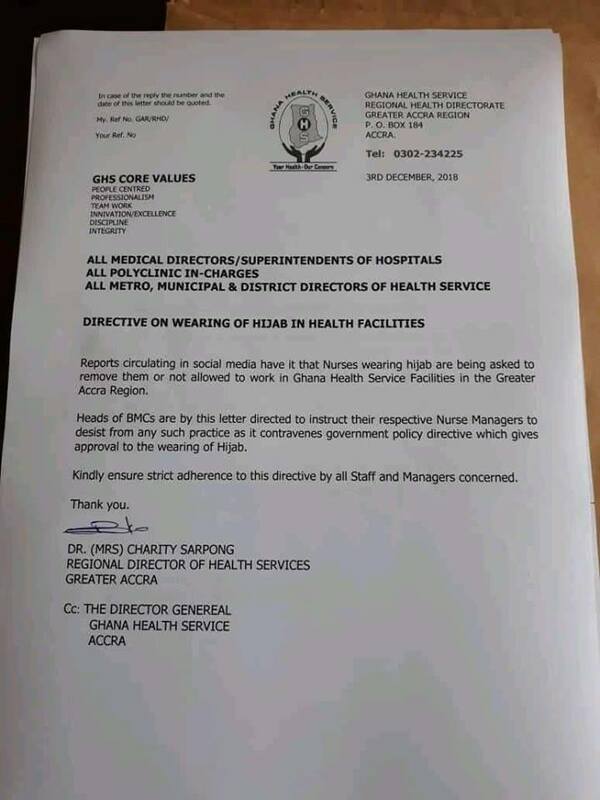 In a statement the Ghana health service directed “nursing managers to desist from any such practice as it contravenes government policy directive which gives approval to the wearing of Hijab”. Last year officials of a Nigerian school in Ibadan shutdown the school after some students came to class wearing hijab. The International School Ibadan which is owned by the University of Ibadan does not allow for the wearing of hijab. A law student from the University of Ilorin was also asked to take her hijab off last year. Her refusal means she missed out on being called to bar. She was months later allowed to graduate wearing his hijab after several advocacy and agitations.